Declaring himself a “Global citizen” Lakshmi Nivas Mittal has proved that he is indeed one. Born on June 15, 1950 at Sadulpur, in Churu district of Rajasthan, India ,Lakshmi Nivas Mittal went a long way, from a middle –class Indian to the richest man living in U.K with an Indian nationality. His is a true success story of how dreams can me made a reality. From a youth who lived an ordinary life, he is now the owner of “Arcelor Mittal”, World’s largest steel production company. He stood sixth on the world’s richest persons list in 2014, second richest man in Europe and richest man in U.K continuously for 5 years. 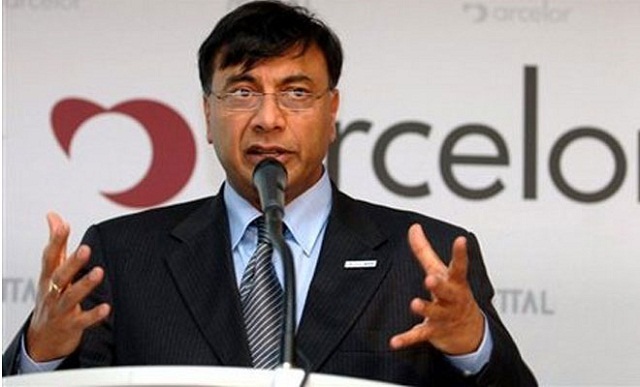 Lakshmi Mittal’s grandfather was employed by a leading industrial firm, while his father was a businessman. His father later joined a domestic steel company in Kolkata as a partner and the family shifted to Kolkata. Mittal graduated from St. Xavier’s college in Kolkata and joined “Nippon Denro Ispat”, his family business along with his brothers Pramod and Vinod Mittal. In 1976, steel production curbed in India and Lakhsmi Mittal established a unit of his father’s company called “Ispat International” in Indonesia, on a land owned by his father. He continued focusing on operations of this company until 1980s.Later on realizing that to start a company from a scratch consumes a lot of time, he started purchasing and overhauling steel mills which were struggling in Mexico, Romania and Ukraine. By that time he had already established a plant in Trinidad and Tobago in 1989.In 1994, he split up from the family business. His father’s company “Ispat International” went public in 1997 and by 2004 Lakshmi Mittal integrated his privately held company LNM’s holdings into Ispat and Mittal steel was born. Mittal also bought Kazakhstan’s Karmet Steel works in Temirtau for $400 million, since China and Kazakhstan share a border and when the steel demand in China rose significantly, Lakhsmi Mittal’s wise decision made him the largest Global steel producer with operations in 14 countries. He gained a repute of “doctor of sick steel mills”. Until 1990s, his family’s main assets were in India which comprised of a cold-rolling mill in Nagpur and another alloy steel plant near Pune and today Lakshmi Nivas Mittal is a hugely successful NRI with an estimated personal fortune of about $13.6 billion according to Forbes (2014). One of every 5 cars use his company’s steel and the company itself has a production capacity of 42.1 million tons of steel. Apart from being CEO and chairman of Arcelor Mittal, he is an appointed independent director of Goldman Sachs and one of the board of directors of the European Aeronautic Defence and Space Company. The decisions taken by him are of high interest to the industry and highly respected because of his excellent understanding of business on a Global front. In recognition of his tremendous contributions, he received “Padma Vibhushan” award by Indian President, Forbes Lifetime Achievement Award in 2008, Grand Cross of Civil Merit by Government of Spain, European businessman of the year by Forbes in 2004.Mittal also received the fellowship with King’s College London in 2007. Lakshmi Mittal is a visionary; he turned to international markets when his family didn’t approve of it as he saw an immense opportunity in the otherwise fragmented steel industry. He took the challenge of consolidating the under developed companies owned by governments in a time when the sector was suffering intense over capacity, high liabilities and the prices of the product were hitting rock bottom. He is married to Usha and has 2 children Vanisha and Aditya Mittal .Along with his wife Usha Mittal, he established a university named LNM Institute of Technology (LNMIIT) in Jaipur as a non-profit organization. He is involved in various philanthropic activities including donations to sporting, educational and healthcare charities. Lakshmi Mittal has set up a trust in his name with $9million to support 10 Indian athletes, with world-class potential .Abhinav Bindra was awarded 1.5 crore Rupees as a recognition of being the first Olympics Gold medal winner in shooting. On a personal front, he loves to live lavishly and owns many houses and real-estate properties all over the world. His most famous house is his current residence called as ‘Taj Mittal’ , as the marble used in the construction of this house has been bought from the same marble quarry from which Taj Mahal was built. This house is at Kensington Palace Gardens and was purchased for US $ 128 million, most expensive house at that time. He was also into the news for his daughter Vanisha’s wedding with investment banker Amit Bhatia , which was undoubtedly one of the most expensive wedding ever in history. The expenditure for this wedding was about $78 million. To summarise, Lakshmi Nivas Mittal is the finest example of an Indian who has surpassed all geographic boundaries in order to pursue his Global dreams. He had confidence in his abilities and farsightedness and he proved himself beyond anyone’s imagination.